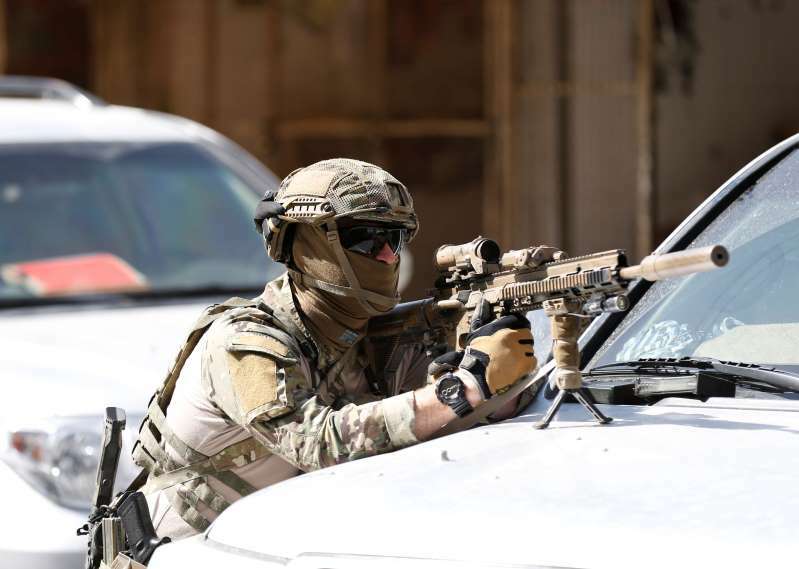 A foreign soldier takes position during an attack and gun fire in Kabul, Afghanistan May 9, 2018. One U.S. service member was killed and two others wounded in an apparent insider attack in southern Afghanistan, the NATO-led Resolute Support mission said on Saturday. [post_ads]In a statement, the Taliban said a member of the Afghan security forces opened fire on U.S. troops in the southern province of Uruzgan, killing four people and wounding several others.